Many businesses and consumers are often stunned when asked about Metal Spinning. 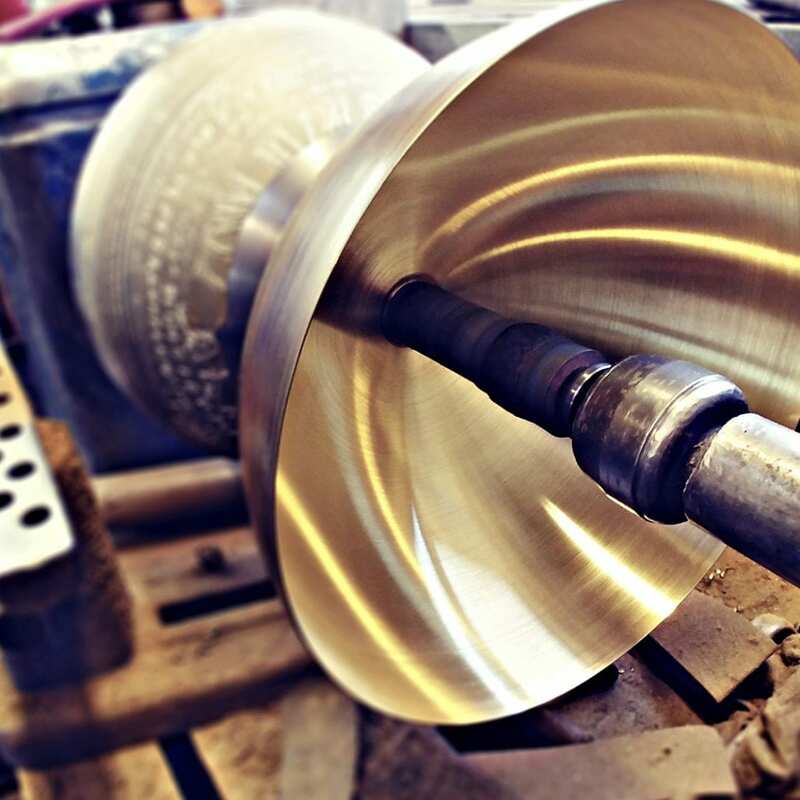 Regularly we hear “What is Metal Spinning?” or “How can Metal Spinning benefit my Business?” This blog post aims to address these questions, the first in brief, the second in a little more detail by highlighting the advantages and then the disadvantages. Metal Spinning, sometimes called Metal Forming, is a unique process we like to refer to as an ‘art’. It’s been used since the time of Ancient Egypt and has advanced with technology to fulfil the needs and requirements of modern industries of today. The process itself requires a sheet metal disc, rotating at high Rotations per minute (RPM) and is formed over a tool, usually made from a Metal or Wood, to create the desired shape. For a more detailed post on Metal Spinning read The Ultimate Guide to Metal Spinning. The Metal spinning process produces less waste and is considered the most conservative metal forming process with materials in comparison to forging, stamping, casting etc. This is because the metal spinning process uses the entire sheet metal disc. The waste product of the metal itself occurs during the cutting stage (to produce the metal disc from sheet metal), Cutting (during the spinning process) and Deburring. The leftover metal scraps, however, are then sent off to be recycled and therefore reused. If your business values an Economically Efficient supply chain, then you should consider using a Metal Spinning business. Especially as the UN Sustainability Development Goals (SDGs) are now being incorporated into many businesses. Tooling costs are low, this is because tools can be crafted in relation to the life expectancy of the job function it is designed for. For example, if you were to order a one-off order, we would produce the tool out of wood. For long life orders, the tool would be produced using hardened D2 steel. This is more expensive than a wooden tool, but your business will save more money on tooling costs with a one-off purchase. The alternative would be to purchase numerous wooden tools which would not be cost effective. We provide tool storage as part of our service for up to one year of the last order. This further saves costs and time when it comes to your next order for long-term orders. In comparison to conventional casting and stamping, Metal Spinning is much less costly due to the simplicity behind tooling. 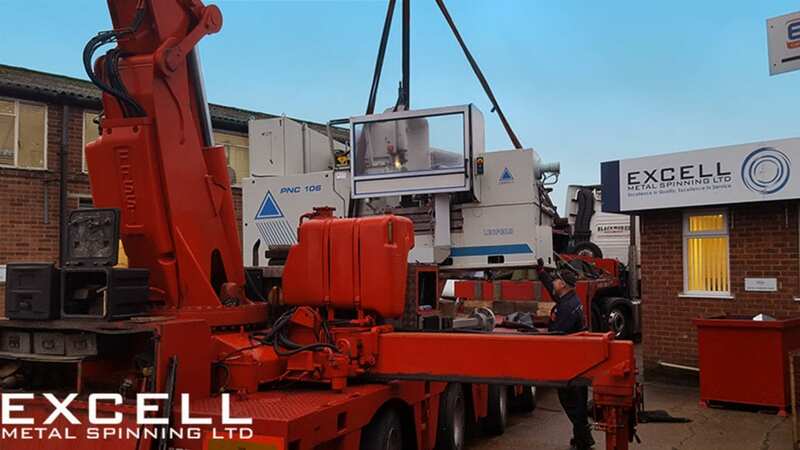 Furthermore, the fabrication processes within Excell that compliment Metal Spinning further saves costs, providing a complete manufacturing solution to your metal spinning needs. Changes to the design can be easily made, and linking back to the previous advantage, makes choosing Metal Spinning much more cost effective. During the product development stage, often we find businesses want to change and reduce the size of a component. By reducing the Tool size in-house it takes away the need to start again, saving time and therefore money. This also makes Metal Spinning an ideal choice for a Prototype design. The Metal Spinning process is not only cost-effective and economically efficient, it’s also very quick. The short lead times mean that small to medium batch quantities can be produced within a matter of days. For large batch quantities, numbering the thousands, we generally give a minimum of three weeks. This, partnered with low in-house tooling makes Metal Spinning very efficient for your supply chain. Repeated passes during the Metal Spinning process over the material also serves to an advantage. This is because it hardens the materials and therefore, you can take advantage of less costly, lighter materials for your components (depending on the application you wish to use the component for). Sometimes, the Metal Spinning process can leave a small indent or imperfections on the surface of the component. This may not suit your application should you find a component has slipped through quality control. We avoid this by training our staff and abiding by a strict Quality Control Regime in accordance to ISO 9001:2015 and BSI Quality Management Systems. This is to ensure that standards are met and quality remains high for our customers. With Metal Spinning, it can be hard to keep the spinning conditions constant. Along the way, spinning tools heat up and expand and other various factors affect the time. Therefore, the operator must adjust to these conditions. On a Computer Numerically Controlled Lathe (CNC) this is often a simple case of tweaking the offsets. With Metal Spinning, ovality is a regularity. This is because the spinning tool hits only one side of the metal disc. When pulling away the spinning tool, the component would not have completed the last full cycle and therefore deviates slightly from its circularity. Although often this is 0.5mm, for some businesses, this may not be acceptable. So there you have it, the advantages and disadvantages of Metal Spinning all in one location. Don’t forget to Contact Us should you have any further queries regarding your Metal Spinning needs. You can also be a part of our community by following our social media accounts @ExcellMetalSpin on Twitter and @excellmetalspinning on Instagram.